Space-age technology for oil-fired heating systems. Ever since it was launched onto the market almost thirty years ago the Rocket Burner ® has held a unique position in the oil-burner sector. Heating oil is converted into gas using the thermodynamic premixing principle, which is based on knowledge gained from aviation and space flight. The result is perfect combustion with a blue flame. Wherever expensive energy is put to the best possible use, the consumption of heating oil and emissions are at the lowest possible level. So it stands to reason that in 1980 the Rocket Burner ® was the first oil burner in Germany to be awarded the „Blue Angel“ environmental symbol. 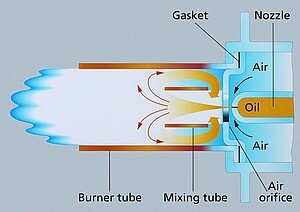 can be brought up to their greatest possible efficiency by the unique design characteristic of the blue flame burner – its own separate combustion chamber. This has made the Rocket Burner ® the undisputed No. 1 in the burner replacement market segment. Progress, however, never stands still, so this leading-edge product has been continually improved, and now the, amazingly quiet, third generation is on the market. In addition to this, a version with a ceramic burner pipe has been designed especially for low-sulphur heating oil. Oil turns into gas: extremely low oil consumptionand particularly low emissions are the results of perfect, soot-free combustion. For a particularly great future: all figures – soot count, nitrogen oxide, and exhaust gas losses – fall below the statutory limits. 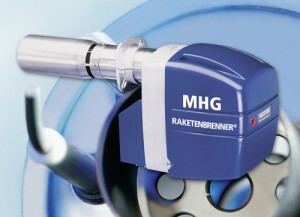 Suitable for use in oil-fired condensing-value boilers: the fan is particularly efficient and its high pressure overcomes any resistance on the combustion chamber side. Easy assembly and handling because of its simple construction with exhaust gas recirculation preadjusted in the factory. 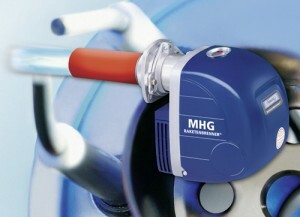 Version available with ceramic burner tube specially designed for operation with low-sulphur heating oil. Rocket Burner Blue Flame Soot Free Low NOX Oil Burner Range, Sales Data Sheet, PDF Download. Blue Flame Rocket Burner Sales Literature 15-70kW , PDF Download. The Rocket Burner Mixing System & Emissions , PDF Download. Blue Flame Rocket Burner RE-1H 15-70kW, Technical Manual, PDF Download. Blue Flame Rocket Burner RZ2-RZ3 55- 315kW, Technical Manual, PDF Download.